I really enjoyed this book! It was a great mix of western with fantasy. It reminded me of The Gunslinger, where there is magic but the setting is still believable. I enjoyed the main characters, the action and the pace of the story! It had a satisfying ending and I hope the adventure continues! Think North Korea and Russia are the greatest danger to the United States? Think again. After a surprise biological attack, America, the most powerful nation on Earth, quickly succumbs, with 99.91% of the population over the age of 16 decimated. 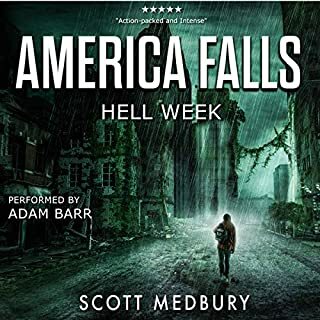 As society unravels, and the ground invasion of his country begins, loner Isaac Race must form a connection with a ragtag group of survivors and elude not only the invaders, but other dangers and threats unleashed in chaotic Post-America. This book was great! Very fast paced and full of action. The main character is very resourceful but his struggle to survive against incredible odds is putting him and his companions to the test. 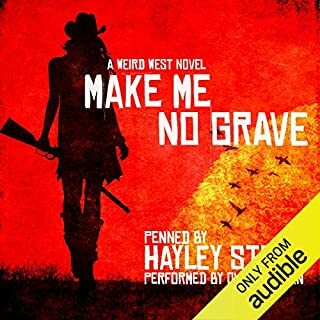 I hope the rest of the series comes to Audible as well!